I’ve found some great news clippings from the Center for Southwest Research and Special Collections and have a number of leads about more archive material including cinefilm. Although this event served to bring existing conflicts between groups into view, I have no particular agenda other than to satisfy my own curiosity. 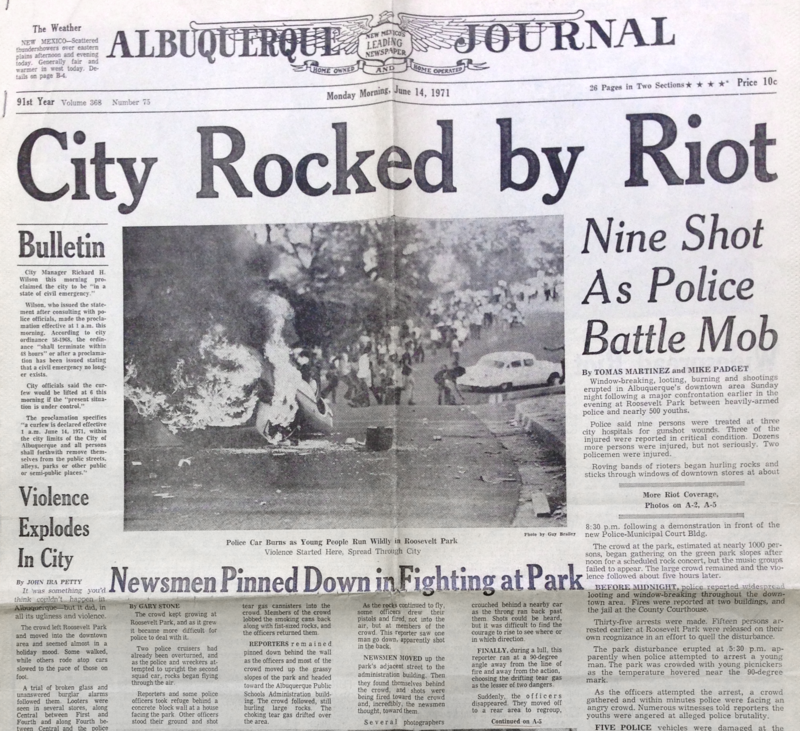 I also think it would make a compelling record of a moment in Albuquerque’s history which many people aren’t aware of. Since it’s been 45 years, any interviewees will have had to be quite young when it happened. Do get in touch if you or a relative have stories to share.